This ball is great for any bowler who is a fan of the Detroit Lions! Work on your game while representing your favorite NFL team! 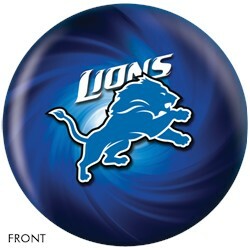 We show that weights can go down as low as 6lbs for this ball but the 6lb and 8lb balls are out of stock at this time. The lightest in stock weight would be 10lbs. Is this a used ball? I ask because in the details you mentioned a few pits may appear in the plastic surface of the ball. This will be a brand new ball sent to you. The tiny pit holes are common with all bowling balls. 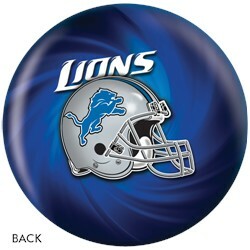 Due to the time it takes to produce the KR Strikeforce Detroit Lions NFL Ball ball it will ship in immediately. We cannot ship this ball outside the United States.